This appeal is directed against the final judgment and order dated 20.7.2009 passed by the High Court of Delhi at New Delhi in Criminal Appeal No. 447 of 2001 whereby the High Court dismissed the appeal filed by the appellant herein and upheld his conviction and sentence awarded by order dated 31.5.2001 passed by the Special Judge, Delhi in C.C. No. 53 of 1995 acquitting him of the charge under section 120-B of the Indian Penal Code, 1860 (hereinafter referred to as “I.P.C.”) and convicting him for the charges under section 7, 13(2) read with 13(1)(d) of the Prevention of Corruption Act, 1988 (hereinafter referred to the PC Act”) and sentenced him to undergo rigorous imprisonment for a period of two years and to pay a fine of Rs 40,000/- under section 7 and 13(2) read with section 13(1) (d) of the PC Act cumulatively, in default of payment of fine, he shall further undergo simple imprisonment for six months. On 28.3.1995, the complainant- Arun Kumar (P.W. 1) lodged an FIR under section 7 read with section 13(2) of the PC Act against the appellant and another employee of DESU namely, Rajinder Kumar complaining inter alia that in January, 1995, he applied for installation of an electric connection for his factory and for that purpose he met the appellant in his office where he demanded from him Rs 4000/- for doing the abovesaid work and told him that unless he pays a sum of Rs 4000/- as bribe to him, it is not possible to install the electric connection. 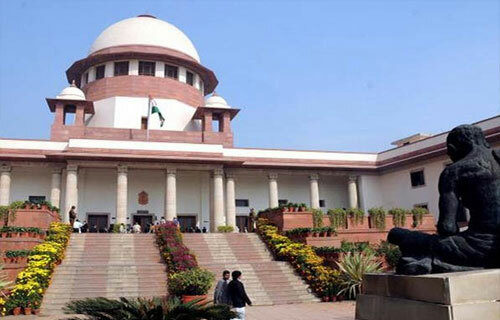 By judgment dated 31.5.2001, the Trial Court (Special Judge) held that prosecution failed to prove the case of any conspiracy between the appellant (A-1) and co-accused Rajinder Kumar (A2) in relation to the offences in question and therefore, the charge of conspiracy against them under section 120-B, I.P.C. was held as not made out. Both the accused were, therefore, acquitted of the charge of conspiracy under section 120-B, I.P.C. The Trial Court then disbelieved the evidence of the Investigating Officer- Mr. Kaul (P.W. 6) on the ground that he himself was of a doubtful integrity because the High Court, in one case, had directed registration of a bribe case against him and, therefore, his evidence in this case cannot be relied on, but the Trial Court believed the evidence of shadow witness (P.W. 2- Mahinder Lal) for holding the appellant guilty of the offences punishable under the PC Act. The appellant (A-1), felt aggrieved by his conviction and sentence under the PC Act, filed criminal appeal in the High Court at Delhi. By impugned order, the High Court dismissed the appeal and affirmed the judgment of the Trial Court which has given rise to filling of the present appeal by way of special leave by the appellant (A-1) in this Court. In substance, the charges against both the accused were that the appellant entered into a criminal conspiracy with Rajinder Kumar to demand and accept illegal bribe money of Rs 4000/- from the Complainant – Arun Kumar as a motive or reward for showing him official favour in the matter of installation of electricity power connection and, in furtherance thereof, the appellant on 28.3.1995 as also on 29.3.1995 around 11.30 a.m. to 11.55 a.m. in the DESU office demanded from the complainant and directed him to pay the said money to Rajinder Kumar – co accused, who accepted the said money on his behalf. Hon’ble A.M. Sapre and Indu Malhotra, JJ. have held that when the charge against both the accused in relation to conspiracy was not held proved and both the accused were acquitted from the said charge which, in turn, resulted in clean acquittal of Rajinder Kumar from all the charges under the PC Act, a fortiori, the appellant too was entitled for his clean acquittal from the charges under the PC Act. It is for the reason that in order to prove a case against the appellant, it was necessary for the prosecution to prove the twin requirement of “demand and the acceptance of the bribe amount by the appellant”. As mentioned above, it was the case of the prosecution in the charge that the appellant did not accept the bribe money but the money was accepted and recovered from the possession of Rajinder Kumar – co-accused (A-1). Since in order to attract the rigors of sections 7, 13(2) read 13(1) (d) of PC Act, the prosecution was under a legal obligation to prove the twin requirements of “demand and acceptance of bribe money by the accused”, the proving of one alone but not the other was not sufficient. The appellant is, therefore, entitled for acquittal from the charges framed against him under the PC Act too. The appeal after granting special leave to appeal is filed by the appellant against the judgment of the High Court of Punjab and Haryana affirming the judgment of the Trial Court convicting the appellant under section 304-B, I.P.C. but reducing the sentence from 8 years rigorous imprisonment to a period of 7 years under the aforesaid section. The appellant who was tried along with his parents and two brothers was acquitted of the charge under section 406 of the Indian Penal Code by the Trial Court. In view of his conviction under section 304-B, I.P.C., the Trial Court did not find it necessary to record a separate conviction under section 498-A, I.P.C. There is no dispute that the marriage between the appellant and his deceased wife took place on 24th January, 1998. It is also not in the region of controversy that she died well within seven years of her marriage. It is undisputed that the death of the appellant’s wife was unnatural and she died alongwith her child by way of drowning in a river. In fact, P.W. 8- ASI in his deposition stated that both the dead bodies were secured together with one ‘chunni’. The only question is whether the death is to attributed to cruelty/harassment on the part off the appellant arising out of demand for dowry as contemplated under section 304-B of the I.P.C. Hon’ble Ranjan Gogoi, Navin Sinha and K.M. Joseph, JJ. have held that we have already noticed that the essential ingredients of section 304-B, I.P.C. as noticed by this Court in Major Singh and another v. State of Punjab (supra). Parliament has inserted section 113-B in the Evidence Act. In order that the presumption therein has to be applied it must be established that soon before her death, such woman must have been subjected by such person to cruelty or harassment for, or in connection with any demand of dowry. Upon this fact being established, undoubtedly, the Court is mandated to assume that the person has indeed caused the dowry death as contemplated in section 304-B, I.P.C. Therefore, the presumption cannot apply unless it is established that soon before her death, a woman has been subjected to cruelty or harassment for or in connection with any demand for dowry. The words “soon before” her death has also been considered in a large number of cases. A reading of section 304-B of the I.P.C. alongwith section 113-B of the Evidence Act would establish that once the prosecution shows that soon before the death of the wife, she has been subjected to cruelty or harassment for or in connection with any demand for dowry, the Court shall presume that such person caused the dowry death within the meaning of section 304-B, I.P.C. The words ‘shall presume’ in section 113-B of the Evidence Act while it mandates that the Court is duty bound to proceed on the basis that the person has caused the dowry death, the presumption is rebuttable and it is open to the relative to prove that the ingredients of section 304-B, I.P.C. are not satisfied. “(1) The question before the Court must be whether the accused has committed the death of a woman. (This means that the presumption can be raised only if the accused is being tried for the offence under section 304-B, I.P.C.). In the perspective of aforesaid state of the law, two issues would arise. Whether there is material within the meaning of section 113-B of the Evidence Act for the Court to have come to the conclusion that soon before the death, the deceased was treated with cruelty or harassed for or in connection with demand for dowry.